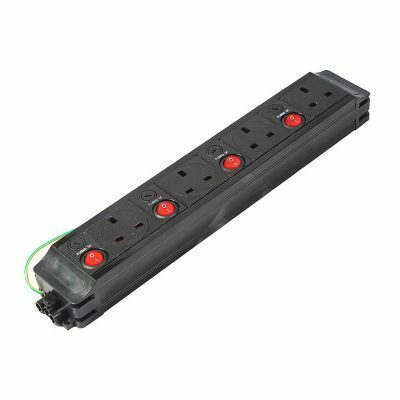 This highly practical Power Pack under desk power unit with 2 x UK sockets provides individually fused UK sockets in a unit that can be mounted underneath a desk using the integral mounting brackets or using cable tray mounted to the underside of a desk. 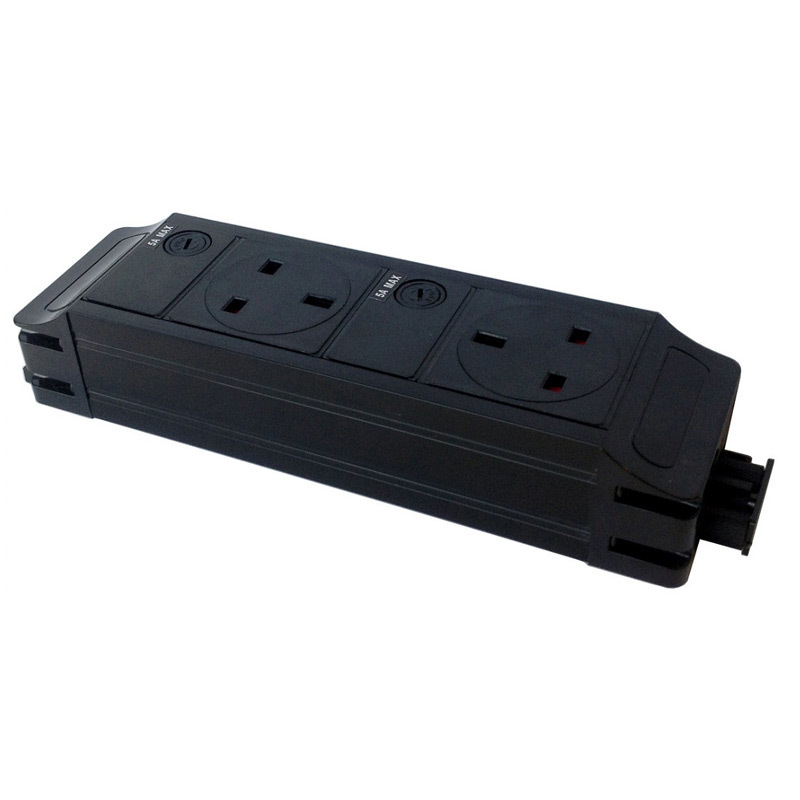 A 3 pole power input and output means units can be daisy chained together using interconnecting leads to provide more sockets to multiple desks from a single power outlet. 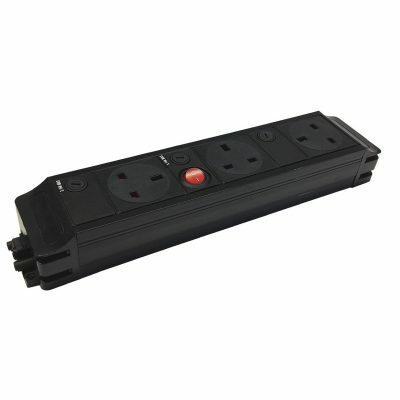 A range of Socket and Switch configurations are available including units with master switches or individual switches. 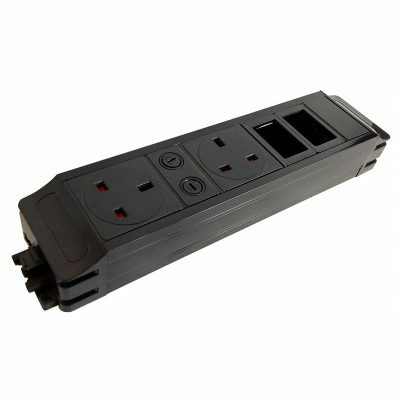 Note: Each unit requires a Start lead or Inter connecting lead. Not included. The Power Pack offers a low cost, easy solution to providing power to a desk in a way that avoids trailing leads on an office floor. Custom power lead lengths are achievable by using Start Leads ranging from 1 to 10 metres in length or Inter connecting leads ranging from 1 to 3 metres in length.